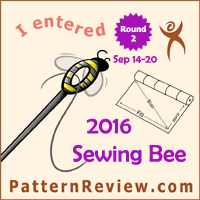 Sew, Mama, Sew has asked their readers for sewing machine reviews. 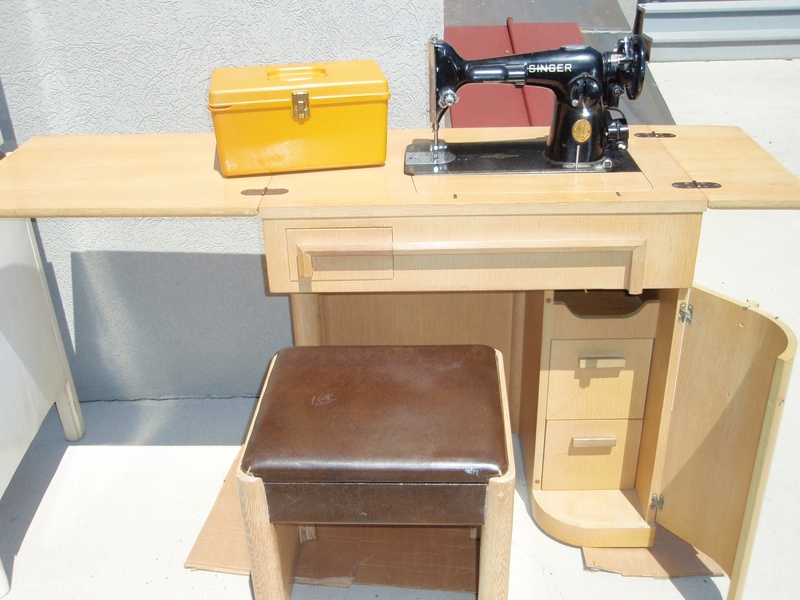 I’m reviewing my three favorite sewing machines from my collection. 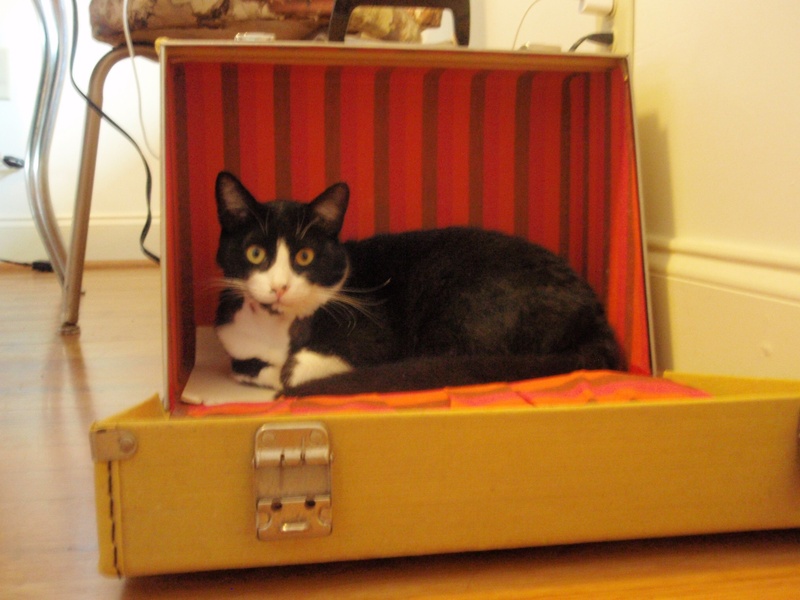 Necchi BU Nova: four years – it was a gift from my parents when I finished graduate school. I had a 1970s Singer that kept going out of time which I wanted to replace. 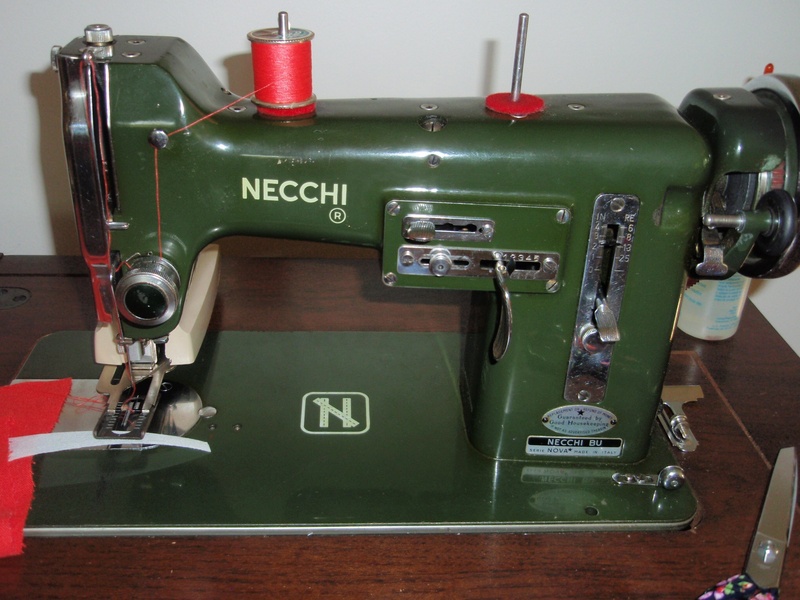 Necchi BU Nova: This machine was freshly cleaned and refurbished by a fantastic OSMG in Providence, RI, and well worth $150. 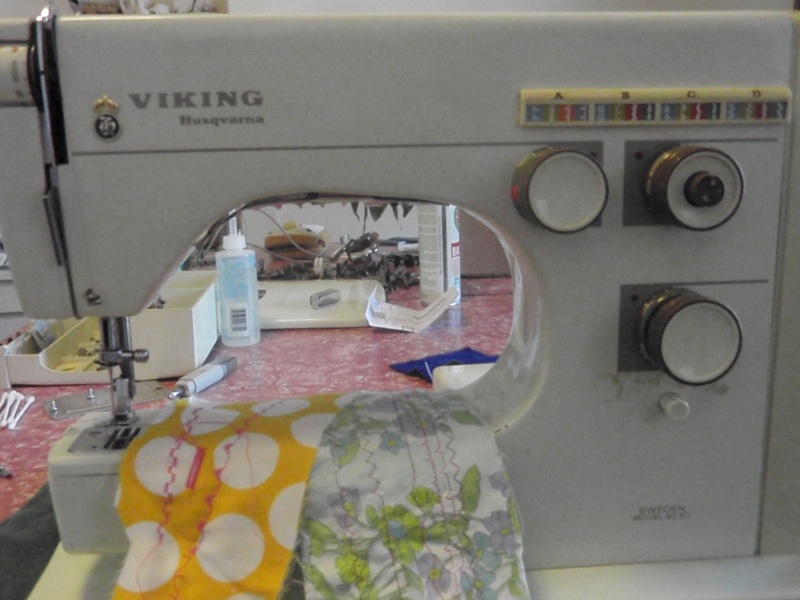 Husqvarna Viking 6030: I was looking for a free-arm sewing machine for making purses and found this one on Craigslist for $100. Singer 201-2: This was the ultimate bargain at $38, including a beautiful mid-century cabinet and various accessories including a buttonholer. Yellow box was a separate purchase at the same antique mall. My goal is that eventually, my wardrobe will be mostly made by me, so I sew clothes for myself. I have a lot of friends having babies right now and have been doing some baby quilts. I do the curtains in my house and have dabbled in sewing for profit. Necchi BU Nova: Love it. I was doing just fine with this as my only machine, and then I met my husband – a machinist who has six drill presses, among other things. He’s helped me appreciate the value of having the proper tools and enabled me to build a collection of my own machines. Husqvarna Viking 6030: Great machine. When I brought this home, I worried I wouldn’t use the Necchi any more. I’m still looking for a good female Viking name for her. Would only sew straight when we got it home. Elbow grease got the pattern functions working. Singer 201-2: This sewing machine makes me feel like I’ve died and gone to heaven. We found it on our honeymoon, and my sweetie helped me dis-assemble, clean and grease it, so I feel I know it better than the rest. Necchi BU Nova: I really like the controls on this machine. The levers for stitch length and width have a clever design. Husqvarna Viking 6030: This machine has pattern stitches on four different selectors – including a blind hem stitch, which I really like. Also, the inside of the case is pretty awesome. Willie the cat enjoying a new box. Singer 201-2: Overall, this machine is amazing. It’s quiet, the direct-drive motor is strong and smooth, and doesn’t use belts – fewer parts to wear out! Also: fantastic buttonholes. I would recommend all of these machines. They are all good, sturdy machines that will last forever when maintained properly. 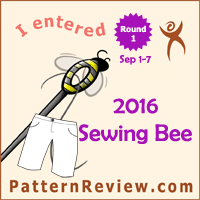 I would like to have a serger sometime. And the machinist and I always have our eyes open for a $25 Featherweight and a $100 Pfaff 1222 at flea markets, yard sale and antique malls. I'm a librarian at a college in Lexington, Virginia. I sew, I knit, and I cook. Patricia, thanks for your comments. Wow, I thought it was kind of weird I have two of the same machines as you! I have the Viking 6030 and the Singer 201. Like them both although I’ve been having trouble with the viking lately. Not sure, seems to be the transmission. Do you have a favorite among your machines? Mine was the viking before I messed it up. Now I’ve been using my daughter’s Brother until I fix the Viking or buy something else. Joanne, lately my favorite is the 201-2 – it’s just so smooth and quiet. They all have their charms – I hemmed some pants the other day and used the blind hem stitch and foot of the Viking. But I do need to give it a close look because the cams don’t seem to be working quite right. There are some wonderful resources in the Yahoo groups for old Singers and Vikings.